‘gardenhouse’, MAD architects’ first project in the US, has topped out in beverly hills. 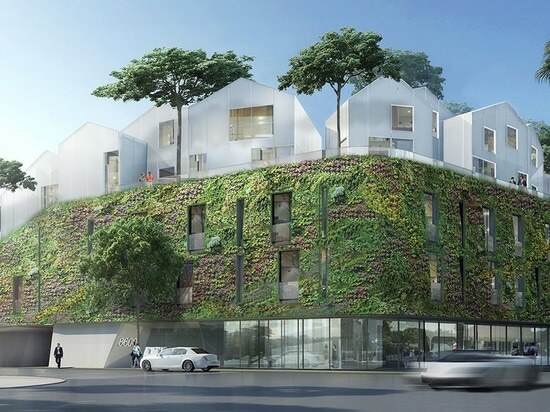 the plant-covered residential complex is described by MAD as a ‘hillside village’ and, once finished, will be composed of a cluster of white glass villas and trees that ascend upward. 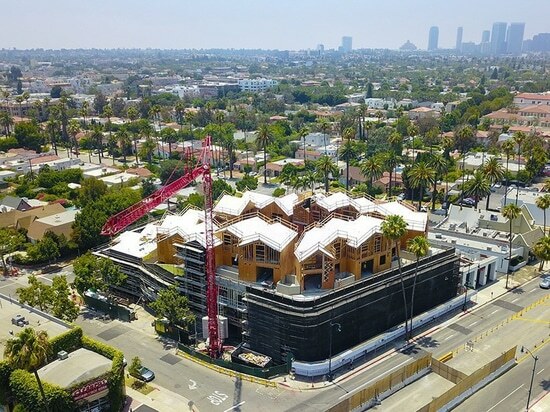 the project, which was first unveiled as ‘8600 wilshire’ in 2015, is currently on track for completion in 2018.
the 18-unit complex is currently under construction at 8600 wilshire boulevard, an affluent area in the california city. 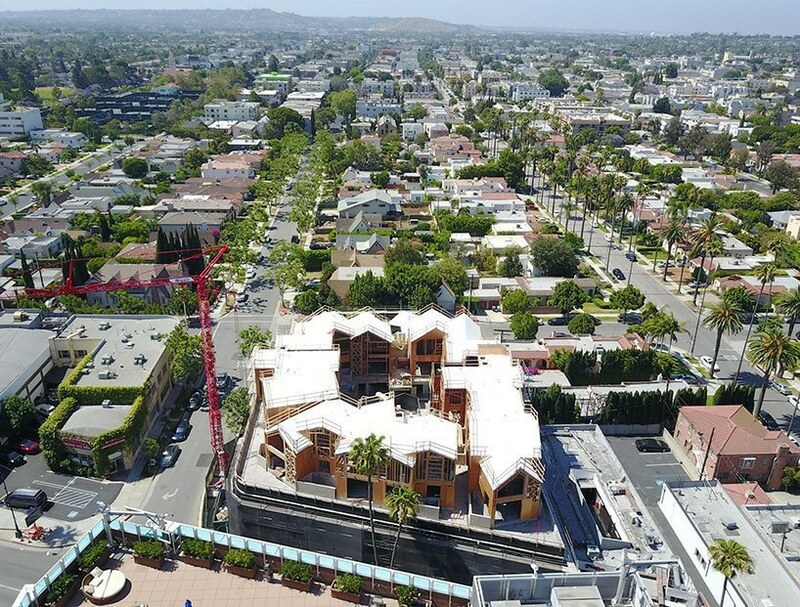 MAD has designed the site to comprise three townhouses, two studios, five villas and eight condominiums that are arranged to cultivate a private neighborhood feeling in the middle of the city. individual balconies and patios peppered with greenery extend out over an inner courtyard offering residents a secret oasis in which to interact and enjoy nature. 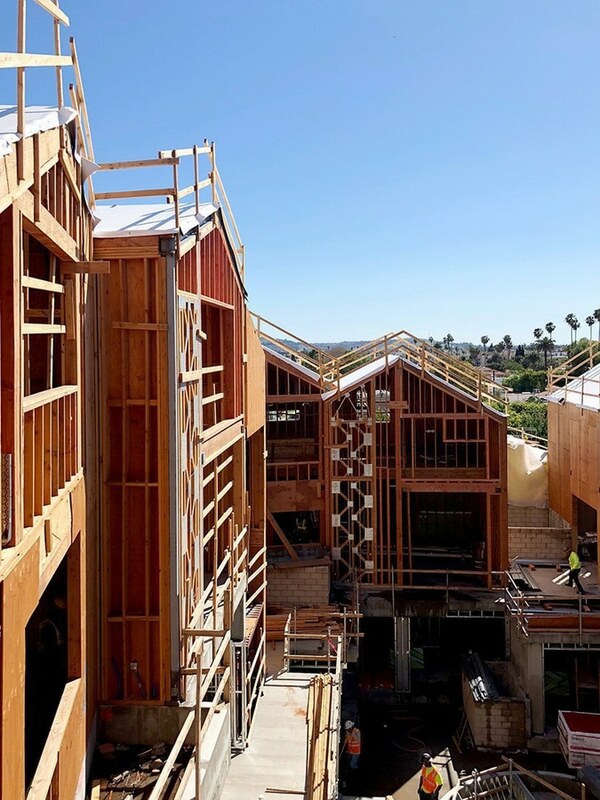 once complete, the village will also be wrapped in a water-efficient ‘living wall’ of native, drought-tolerant succulents and vines. cut off at ground level, the wall unites the village with a lining of foliage-clad shops that line the street. 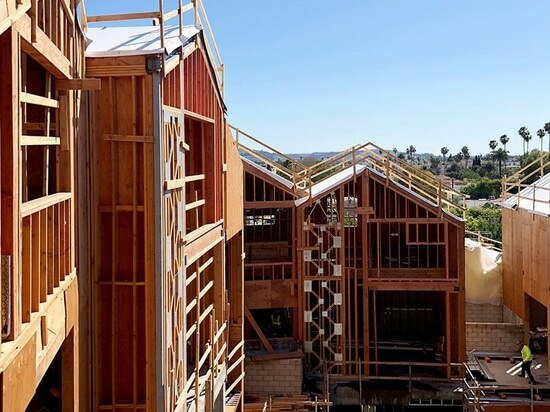 villa residents will also experience a balance between public and private realms as the housing appears opaque from the street, but reveals a transparent façade facing toward the private garden and other residential units. complementing the architecture by MAD, will be interiors created by US office rottet studio. ‘gardenhouse’ is on track to complete later in 2018.